Kalki Bhagavan is the founder of the spiritual movements known by an assortment of names including: The Oneness University, Kalki Dharma, The Golden Age Foundation, and the Foundation for World Awakening and Bhagavad Dharma. Kalki Bhagavan was born in in the Arcot District of India and throughout his life went by various names including: Mukteshwar, Sri Kalki, Bhagavan and Sri Bhagavan. The Kalki Bhagavan fraud case is rooted in the fact that Kalki and his wife, AmmaBhagwan, portrayed themselves as two divine avatars or beings. Through this belief of possessing divinity and a god-like status, both Amma and Kalki created a spiritual movement that sought to bring all of humanity into the Golden Age. The “Golden Age” according to Kalki and Amma Bhagavan denotes a period of maximized spirituality where 64,000 people, throughout the world, will be fully enlightened. In order to achieve this expected goal, the two “divine” beings aimed to teach the masses to give diksha—a one-to-one ceremony that includes the taking on of a spiritual discipline. As the spiritual movement grew exceedingly popular, Kalki Bhagavan and Amma Bhagavan established corporations or organizations that would funnel charitable donations from the group’s fervent followers. Those who invested believed their money was strengthening the movement and would ultimately bring enlightenment to the masses. 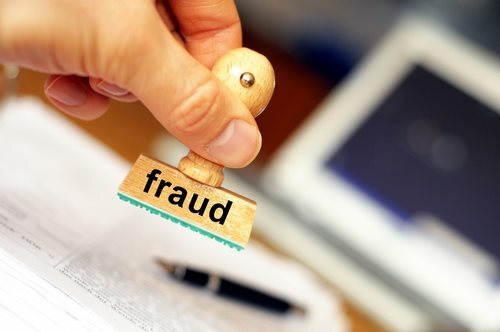 Unfortunately, for those that invested in the Kalki Bhagavan fraud system, the monies were used to purchase individual assets and were transferred to form various private companies and business entities. According to various reports, both Amma Bhagavan and Kalki Bhagavan, profited tremendously through their manifested beliefs and spiritual network. Various individuals, who were close to the Bhagavans, claimed that the individuals established business entities and private limited companies through the large sums of monies they received from cash donations made to the spiritual cause. The monies received were meant to conduct rural work in various regions throughout Inida; however, investigations and various allegations claimed that the Bhagavan’s were siphoning off the funding streams to purchase personal assets. The siphoning of money from these various trusts—which were intended to further the movement—is the foundation of the Kalki Bhagavan fraud case. The Kalki Bhagavan Fraud case was portrayed and evaluated as a manipulative and egregious attempt to take monies from individuals who believed they were making charitable contributions towards the advancement of a spiritual and righteous cause. Kalki Bhagavan and his wife, Amma, portrayed themselves as divine beings; through this portrayal, the general population of India viewed them as righteous and omniscient gods. As a result of these perceived characteristics, believers paid enormous sums of money to meet Kalki and Amma Bhagavan. In addition, the two indivduals also claimed that in return for a substantial investment, those believers would receive invaluable documents, gold chains and other articles that in actuality was nowhere near the worth of the actual investments. Through the delivery of tax documents, the Kalki Bhagavan fraud case grew so large that the individuals amassed a fortune so great that they could afford 33 automobiles, lavish mansions and seemingly infinite assets.